Leading Manufacturer of pipes fittings for packaged drinking water plant from Rajkot. We are engaged in offering an extensive range of Pipes Fittings for Packaged Drinking Water Plant. Our range of Packaged Drinking Water Plant is obtained using supreme quality of raw material as per industrial norms. 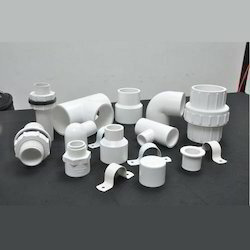 Looking for Pipes Fittings for Packaged Drinking Water Plant ?